3120 East Grand River Ave. When you team up with Auto-Lab® of Howell, you are getting the best technicians and customer satisfaction experts every time one of your vehicles comes in for service. Whether you have a fleet of delivery vehicles, limos, or work trucks, we can provide everything from oil changes and tire repair to full engine and transmission replacements. Our ASE certified technicians have the experience to keep your fleet up and running so you never have to worry about unexpected repairs or downtime. When you run your own business, we know every second counts! For your convenience, we provide comprehensive fleet maintenance and repair services to help keep your business running smoothly and efficiently. In short, you can trust our team to keep your team on the road! Service intervals vary from business to business, based on how often your vehicles are driven and how many miles they have on them. If your fleet trucks or cars operate under heavy-use conditions, you may need to bring them in for servicing more often. Our technicians will be able to properly assess your needs and help determine the right service intervals for your company cars. 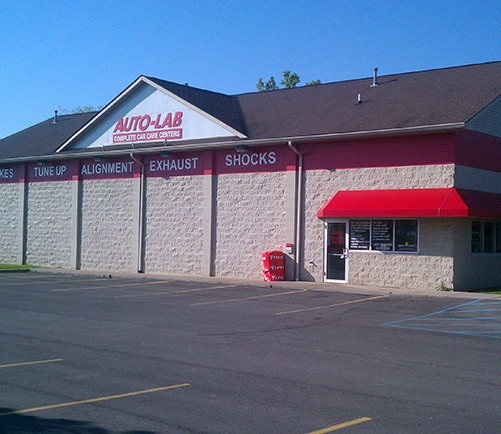 Lower Your Fleet Maintenance Costs with Auto-Lab®! Everything you need to know about fleet maintenance and services starts with Auto-Lab® of Howell Contact us today to schedule a service. The contents of this webpage are Copyright © 2019 Auto-Lab of Howell. All Rights Reserved.